Rose Klonec had had more lovers than she could count. She took them for all they had, then left them. Ralph Douglas was the exception. He broke off their affair himself. And he did it to become engaged to wealthy Magda Toller. But he was by no means free of Rose. When her dead body turned up in his country villa he found himself under suspicion of murder. 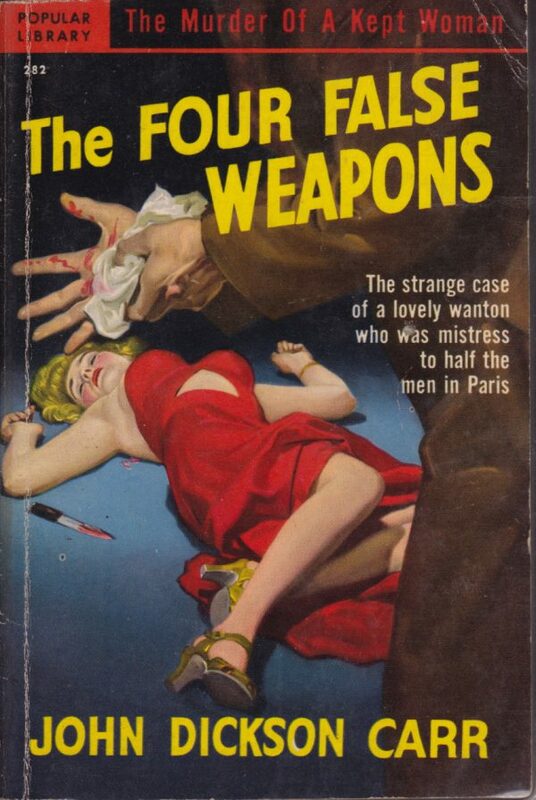 Four deadly weapons lay near Rose: a pistol, a razor, a box of poison pills and a stiletto. 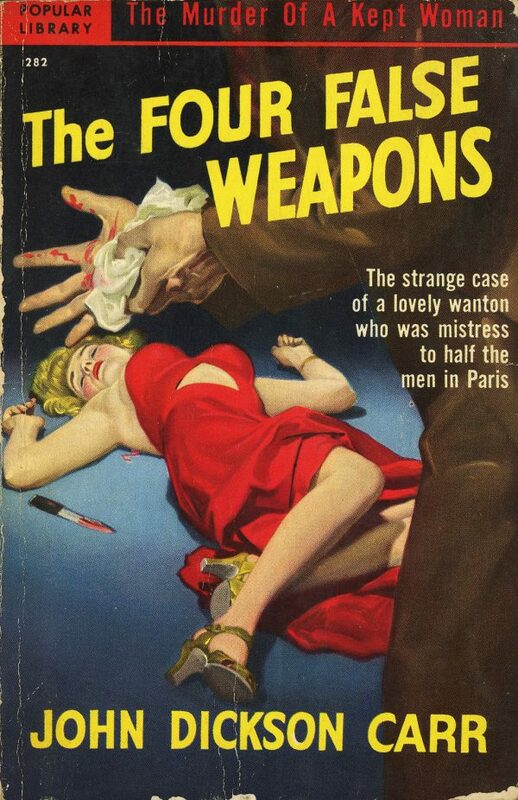 Then Henri Bencolin, famous French sleuth, upset the case by proving the weapons were false and that Magda herself was the daughter of a street walker and a murderer. But Rose’s killer was not unmasked until the night of a weird card game at the Corpses’ Club — a game no person alive had ever played!